Here at CreatedRed Media, we like to keep things simple for everyone. 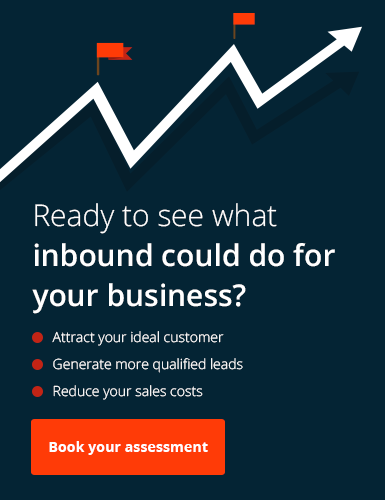 So it’s no surprise that the route to inbound marketing success with us is quite straightforward. In fact, there are just a handful of simple steps involved before we’re both enjoying the results of your new successful marketing campaign. We’re not the right choice for every business. Similarly, not every business is the best fit for our services. That’s why we prefer to think of our sales process as a best-fit test. By working together we can establish if our two businesses are a good fit to partner up. This is a vital step because we strive to give you the best service possible and can only do that when we have the right compatibility in place. Once you start that first conversation with us, we’ll explore your current goals, plans, and challenges and help align our services to your needs. To start your marketing journey with us, tell us about your marketing needs today. Once we’ve agreed to work together, the next important step is to develop your marketing game plan. We’ll delve into your current marketing activities, look for opportunities to leverage within your market, and put together an actionable plan of what we’re going to do, working 3-6 months at a time. We call this your Inbound Marketing Blueprint. Using the information and action points in your marketing blueprint, now it’s time to actually start the marketing activities. We’ll set up and configure your HubSpot portal, generate lead-attracting content, and start to pull those prospects into your sales funnel. The key to success with marketing is also very simple: do more of what works, and less of what doesn’t. By obsessing over your marketing campaign analytics, we can see exactly what’s working well and pulling in the most leads. By refining the winning formula, we’ll bolster the positive actions and drop those that aren’t performing as well. Working in this way means your lead generation efforts are always on a steady upward curve and your marketing machine stays at peak performance.